Q. I was trying to mail a video clip on my iPhone to a friend, but the Mail app said the file was too big and I should try sending it with “Mail Drop.” What is this? 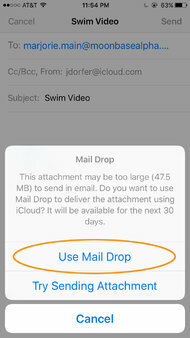 If the file you want to send exceeds the attachment size allowed by your mail service, you can use Apple’s Mail Drop feature to share it by way of iCloud. A. Mail Drop is a feature that works with the Mail app on many iOS devices, Macs and through a web browser pointed to iCloud.com. The email account you are using must also support the IMAP standard. Mail Drop temporarily uses iCloud server space — instead of the mail provider’s servers — to store file attachments up to five gigabytes in size. When you get a message that an attachment is too large to send normally and you select Mail Drop as an alternative, the Mail app uploads the file to iCloud, and then provides your mail recipient with a link or icon to download it there. This way, the shared file does not actually go through the regular mail servers as an attachment. Interactive Feature | Interested in all things tech? 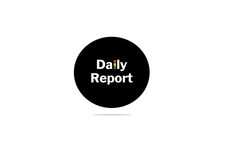 The daily Bits newsletter will keep you updated on the latest from Silicon Valley and the technology industry, plus exclusive analysis from our reporters and editors. The Mail Drop attachments expire after 30 days and do not count against the storage limits for your iCloud account; basic iCloud accounts include a free five gigabytes and you can buy more if needed. You can store up to a terabyte of Mail Drop attachments. Apple is not the only company that offers this type of workaround. Google has a similar tool that lets Gmail users stash large files to be shared on the Google Drive connected to their accounts. Microsoft’s OneDrive service likewise helps Outlook.com users share videos and other big attachments with email correspondents. If you do not have a mail service with a built-in option for handling hefty attachments, try a file-sharing service like Dropbox or Box. With this approach, you upload the file to your account and then send a private link to the content by email. Dropbox can also work directly with Yahoo Mail and Gmail, as can other some services.